Experience the grandeur of Denali, trek on a glacier, hike alpine tundra, raft whitewater rapids and fish world-class rivers. This 3-day itinerary is perfect for visitors seeking a land tour add-on for an Alaska cruise vacation, a business and convention side trip or anyone seeking a unique Alaska adventure. 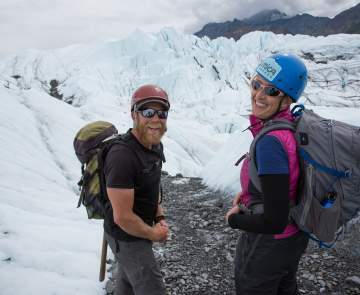 Make the most of your Alaska vacation with the Mat-Su Valley serving as base camp. This itinerary captures the best of Alaska while limiting the need to travel long distance; perfect for individuals or families who don&apos;t want to spend Alaska vacation time in the car. This suggested Alaska itinerary is suitable for individuals or small to medium groups and features fascinating Alaska history and culture, thrilling activities and plenty of time for appreciating Alaska&apos;s unique cultural and scenic wonders. For larger group sizes of 40 or more, please contact the Mat-Su Convention Bureau (email) directly for additional options. Just have one day? 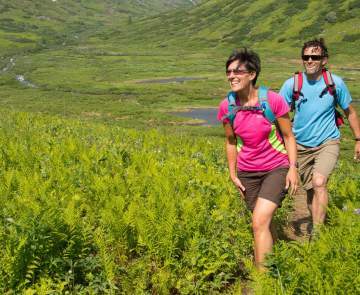 Check out these fun, one-day Alaska itineraries, perfect for day trips from Anchorage.